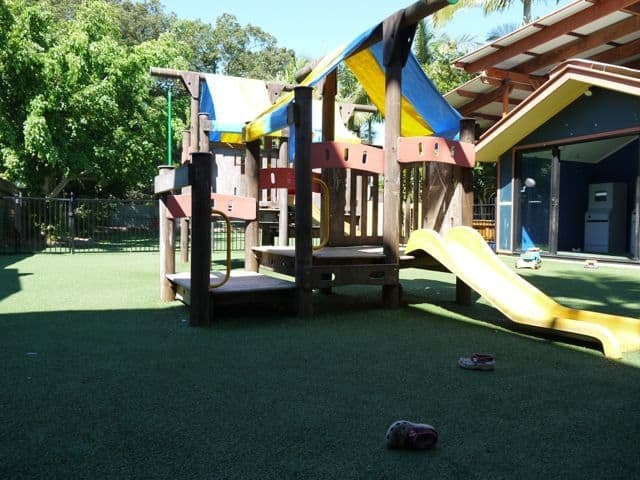 playarea- playground, area to kick a footy and games room. So you don’t get to enjoy a lazy Sunday lunch as much as before you had kids? Well a trip to Samford and the Samford Valley Hotel might be just what you’re looking for. The kids will be kept well entertained in the playground, games room or playing with the footy while you get to enjoy your meal. The play area is fenced, and many of the tables have a good view to the play area. High chairs and baby change facilities make it easier with the littlest of diners as well. 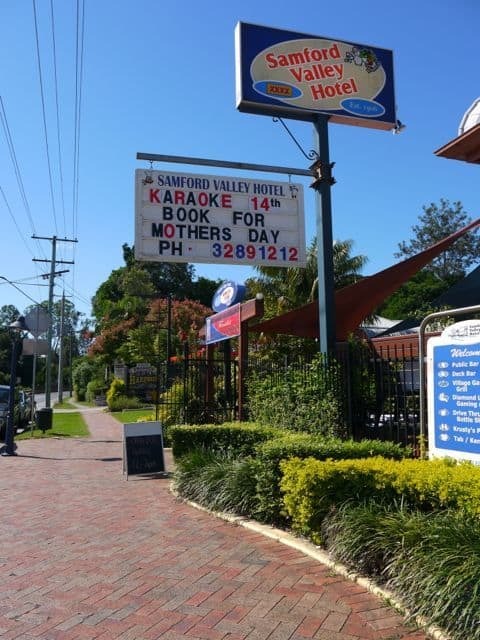 The Samford Valley Hotel is well worth a visit.